Joseph Schooling | Meng, Don't Back Down! Storm was brewing at the Rio 2016 Olympic. The scene was the swimming pool. Michael Phelps had already won gold medals in all the events he had participated. That was already a big storm. A bigger storm was what was coming up later. The event in contest was the 100m butterfly. He was looking set to winning his fourth consecutive Olympic title in the games, with strong competitors such as Chad le Clos and Laszlo Cseh. And of course, the youngster from Singapore, Joseph Schooling, who had set the fastest time during preliminary. After all is being said and done, Schooling clinched the gold medal with a time of 50:39, setting a new Olympic Record along the way. Singapore roared with pride on its first Olympic gold medal ever in one of the biggest upsets seen. And this picture told a legend in the making. 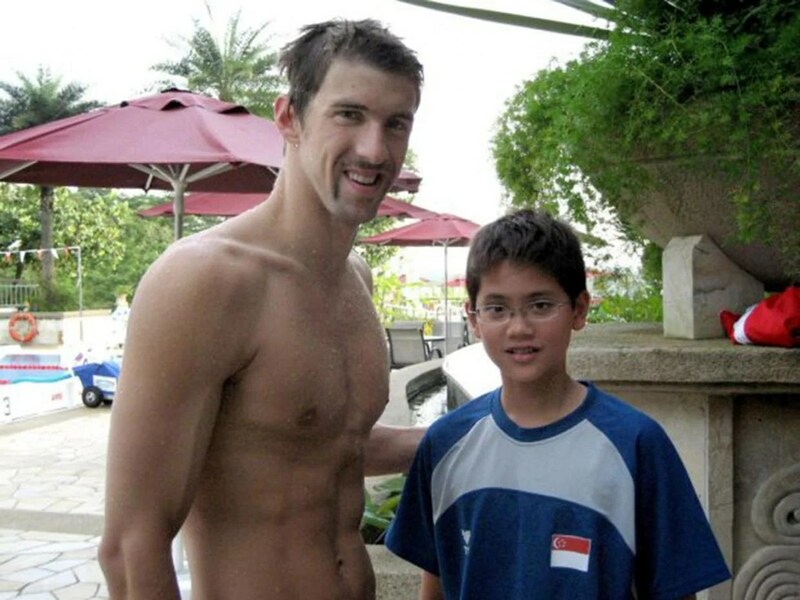 An impressionable Schooling met with his idol, Phelps, back in 2008. With encouragement and hard work, Schooling worked his way up to Rio Olympic, fulfilling his dream of racing his idol. Don’t ever let your dreams be just a dream. Let it be a spark to your dedication to work hard and achieve the success you have been dreaming on. The difference between successful people and the not so successful people is the willingness on taking the action needed on their dreams.